Health Tip: Wisk into warm Foot Bath to relieve, sore, tired feet. Ingredients: Filtered Aqua, Cocos nucifera (coconut) oil, Pinus banksiana (pine) extract, Matricaria chamomilla (chamomile) flower extract, Urtica dioca (nettle) leaf extract, Taraxacum officinale (dandelion) leaf extract, Trifolium pratense (clover) flower extract, Acetic Acid (Apple Cider Vinegar), Olea europaea (olive) fruit oil, Cucurbita pepo (pumpkin) seed oil, Menthol crystals. 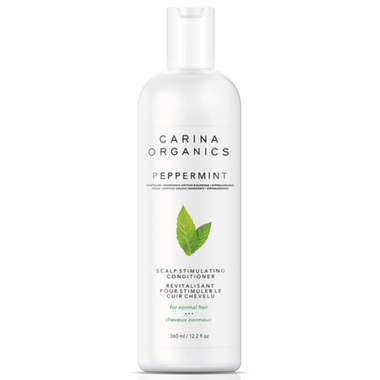 I LOVE the Peppermint shampoo-- in fact i went to their website and bought the 4L bottle :) ... the peppermint conditioner is good... I have fine hair and it's very light... but if you have dry hair, i wouldn't recommend it. Love this fresh and natural conditionner. This is an ok conditioner. I have thick, long curly hair and unfortunately I don't find it detangles or moisturizes to the degree my hair needs. The smell of this product is extremely strong as well. It's not bad but there are better conditioners out there for me. However the ingredient list is impressive so that's nice. I really like this conditioner. The smell is lovely and wakes me up in the morning. It is also a good smell for the summer as many biting insects don't like the smell of peppermint. I am growing my hair out a bit, and this really helps me comb it out after getting wet. I rinse my hair after using it (as directed), and though my hair still feels a bit greasy, everything is fine once it dries. I also think that it is helping my hair as I can now go an extra day between washes. Doesn't cause my eczema to flare up and definitely has a cooling sensation, but if you're just buying this for the peppermint smell, I'd recommend their light peppermint conditioner instead. This one has a more medicinal peppermint smell. This is the BEST conditioner. It will leave your hair feeling so soft, but not greasy at all. Definitely would recommend this! Really enjoy the menthol scent and mild tingle of this condition. Rinses out easily and leaves hair soft and shiny, but is a light conditioner good for normal to oily hair. Finally found an organic line of products that does not affect my allergies or eczema. Great products and my hair feels soft after using.